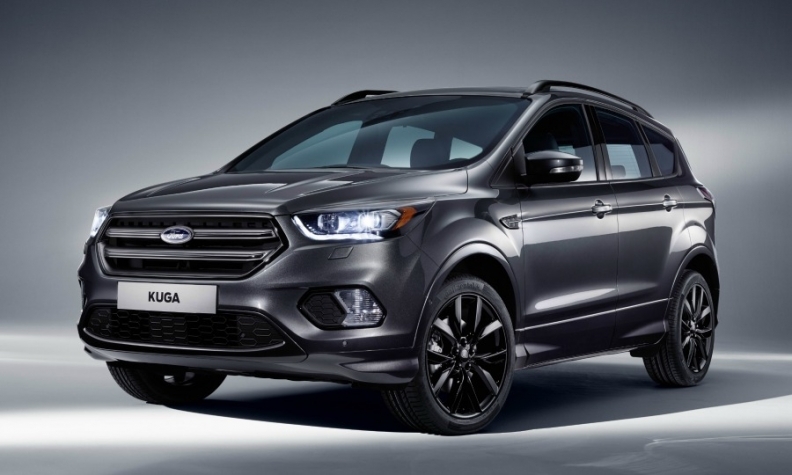 Ford builds the Kuga SUV in Russia. Ford's Russian factories are busy now that the market is recovering but the company may still export vehicles to Europe from its local joint venture. "Exports to Europe are definitely possible," said Adil Shirinov, CEO of Ford Sollers. Increasing the number of export markets would be one way to improve the plants' viability and avoid future production shutdowns, he told Automotive News Europe. Ford started shipping cars to former Soviet countries such as Belarus and Kazakhstan during the Russian market's prolonged slump, but it now wants to expand export destinations. "Unfortunately, these markets are not the biggest, but we are looking at outside as well," Shirinov said. Ford's build quality in Russia is good enough to export cars to more mature markets such as Europe, Shirinov said, without giving examples of models. Ford makes the Kuga, Explorer and EcoSport SUVs along with the Fiesta subcompact, Focus compact car, Mondeo midsize sedan and Transit vans in its Yelabuga, St. Petersburg and Naberezhnye factories, according to Automotive News Europe's car assembly plant map. A number of suppliers with Russian operations are already exporting parts to Ford factories in Europe, Shirinov said. He gave the example of Turkish supplier Coskunoz, which sends body stampings for the EcoSport to Ford's plant in Romania. Russia's new-car market hit a high of 2.93 million in 2012 and it was on course to pass Germany as Europe's biggest. Sales plunged to 1.42 million in 2016 after the economy was knocked by falling oil prices and European sanctions over Ukraine. Ford's Russian sales were just over 130,000 in 2012 at the market's height and the company has increased its footprint to include three assembly plants and one engine plant. Last year, its local sales increased 18 percent to 50,360 in a market up 12 percent. Earlier this month, Ford said its joint venture Ford Sollers plans to create 600 new jobs at its Yelabuga plant and implement a six-day week to meet growing demand for its SUVs and vans. However, many of the jobs being created replace those lost in the crisis and despite recent sales hikes, the company is a long way from pre-crisis numbers. Even if it hit 2012 figures again, it would still be over-capacity with three assembly plants. The Russian government wants automakers to increase exports and is expected to incentivize them to do, said Carol Thomas, central and eastern European analyst for LMC Automotive. "Local content targets may be reduced if exports are increased," she said. The Russian government set tough local content targets of 60 percent under Decree 166 agreements made with automakers which set up assembly sites in the country. Those agreements are coming to an end starting this year and are expected to be replaced by special investment contracts (SPICs), which will be bespoke to each company and put a greater emphasis on exports, Thomas said. Automotive News Europe's monthly magazine for January looks at how the Russian market is returning to stability after four wintery years.